Best Friends Can Be Found Anywhere, He Didn’t Expect It To Be Here..
Francis from Finland had no idea he would find a friend all the way in the middle of nowhere. Francis was walking by the frozen lake when he noticed something moving under the ice. 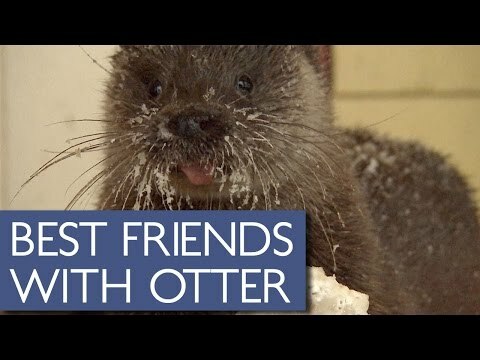 An otter popped out of the hole, and little did Francis know he would become best friends for life.